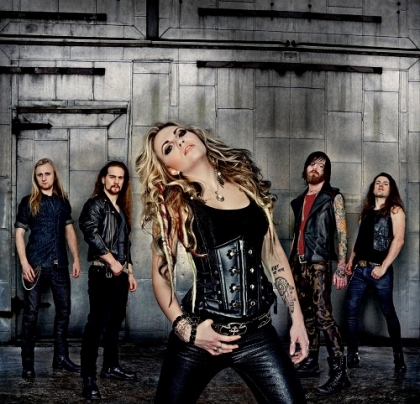 KOBRA AND THE LOTUS – the five-piece group fronted by powerful vocalist Kobra Paige – will play Bloodstock Open Air Festival (the UK’s biggest independent Metal festival) on Sunday August 12th. The band will open the Ronnie James Dio stage, the main stage at the event. KATL – who recently guested with Judas Priest & Saxon at the Hammersmith Apollo in London – will release their self-titled album on August 6th 2012 via Spinefarm Records. Produced by Kevin Churko (whose previous credits include both Five Finger Death Punch & Ozzy Osbourne), the 10-track album has an intentionally grand-scale dynamic, revelling in the glories of the genre and making its mark as arena rather than garage rock; precisely delivered music, still heavy with emotion.